Not only is illicit use of your wireless network a nuisance that can hinder its performance, but when people hack into your WiFi, it also poses serious security risks. Fortunately, as the network administrator, there a couple ways you can detect whether a neighbor or other stranger is tapping into your WiFi. You can then take the appropriate measures to prevent this behavior and strengthen your overall network security. One way to tell if someone could be using your wireless Internet connection is if you are experiencing a slower-than-normal speed while browsing or downloading content. If you suspect that an outsider has tapped into your connection, try unplugging or turning off all of your wireless-capable devices that are connected to the Internet—including your smartphone, computer, gaming console, and television—and then go check your wireless router. Typically, if the light continues to flicker (notwithstanding powering off all of the above), someone else may be using your WiFi. This low-tech method of detection relies on you shutting down all devices and does not provide much additional information, but it is quick and easy. Another more conclusive method is using an app that can search for any unfamiliar devices connected to your WiFi at unusual times and notify you if strange traffic is detected. Apps that can perform such a function include Wi-Fi Inspector or Wireless Network Watcher. 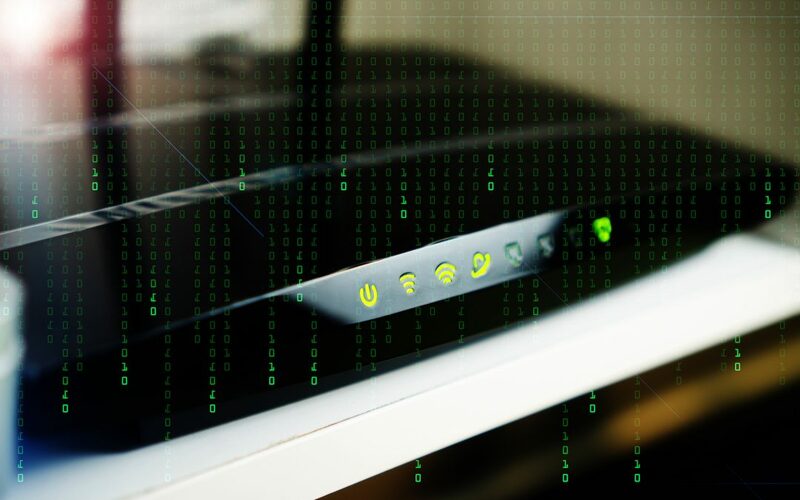 You also can log into your router’s administration page and check the list of IP addresses, Media Access Control (MAC) addresses, and detectable names for devices connected to your WiFi. The name of the section with that list will differ based on your router, but it should be called something akin to “My Network,” “Attached Devices,” or “Device List.” You can check this list against the devices within your house or apartment that you know to be connected to the WiFi. Not only can you track network activity through the admin console, but you also can change security settings. First, you should strengthen the security on your network. That may mean changing the default router name and password for people who have not already done so. In general, changing the password will likely boot off all the devices currently connected. Then you will be rid of unwanted freeloaders and can reconnect your personal devices using the new password. When choosing an updated password, it is typically advised to make it long and reasonably complex that you can still remember. You also can change the router name by accessing the Service Set Identifier, typically located under the wireless settings menu. Choose the strongest wireless network encryption that is currently available, or WPA2, which is compatible with most devices manufactured after 2006. Stay away from WEP and WPA if possible, as they both tend to be less secure. You may have to choose the option WPA + WPA Personal to make sure all your own devices can connect to the network. If you are more serious about detecting not only if someone is stealing your WiFi, but also who or where they are generally located, you can try a mobile tracking software tool such as MoocherHunter, a part of the OSWA-Assistant wireless auditing toolkit. Law enforcement agencies in Asia and elsewhere use the software to geo-locate wireless hackers from the traffic they send across the network. You can triangulate the physical location of the unwanted user, down to 2 meters accuracy, thanks to the directional antenna on your wireless card. What is at risk from illicit network use? When other users tap into your connection, unbeknownst to you, it not only decreases performance, but also poses a significant security risk. Your Internet connection will likely slow down and you may find your devices getting inexplicably disconnected from your router. According to Lifehacker.com, neighbors and other hackers can access shared folders on your network, depending on the security measures you use, allowing them to steal important data. They can even hack into the smart devices in your home and engage in illegal file downloading or illegal music/video sharing. If you suspect someone is stealing your WiFi, it is time to give them the boot. By updating passwords and choosing a secure wireless network encryption, you can make your network safer and less permeable, protecting it from unwanted access and activity.